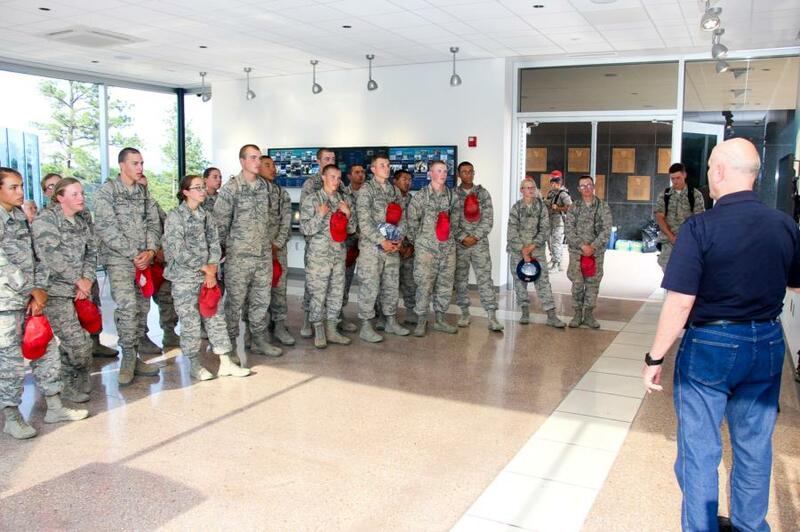 On Thursday the Basics visited Doolittle Hall to learn more about the heritage of the Long Blue Line and what is housed there. 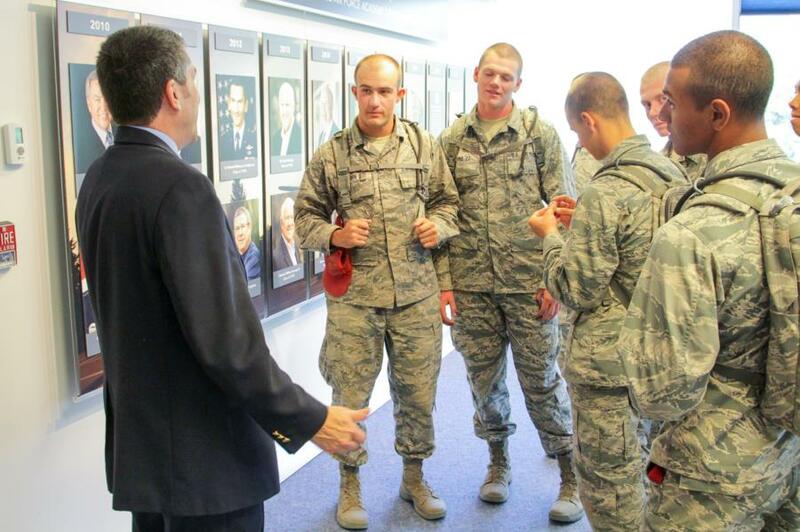 They were welcomed by Steve Simon ’77 with an opening brief about the legacy of the Academy and its Graduates. 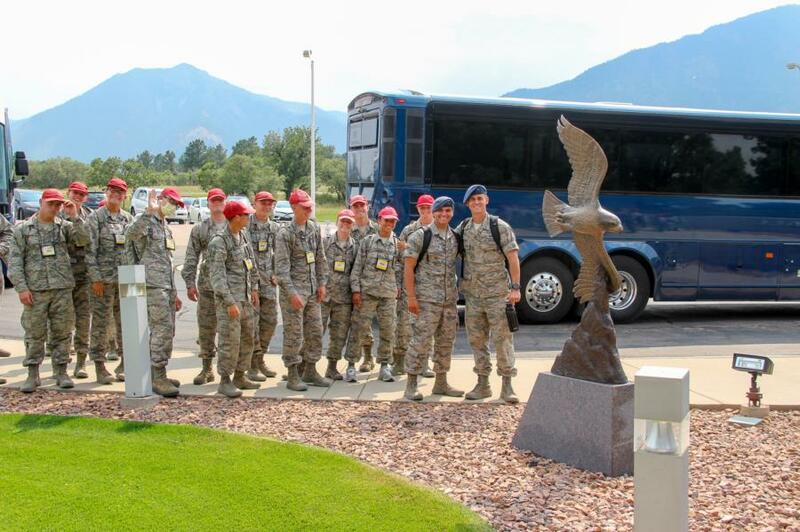 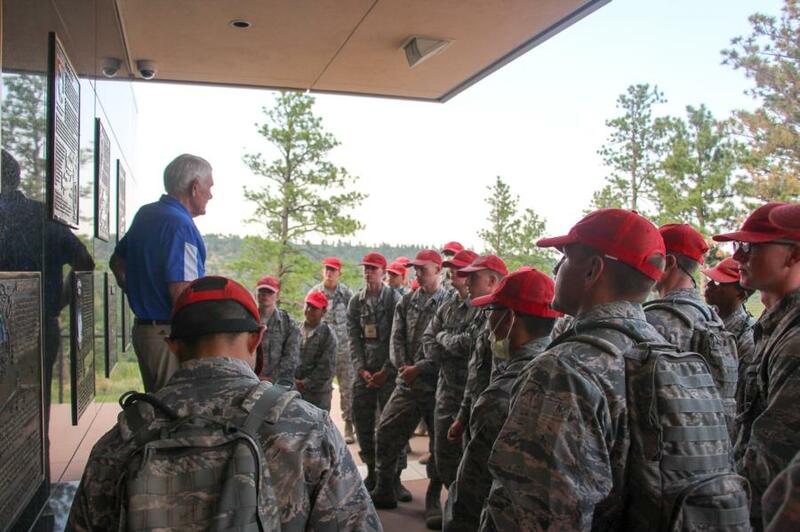 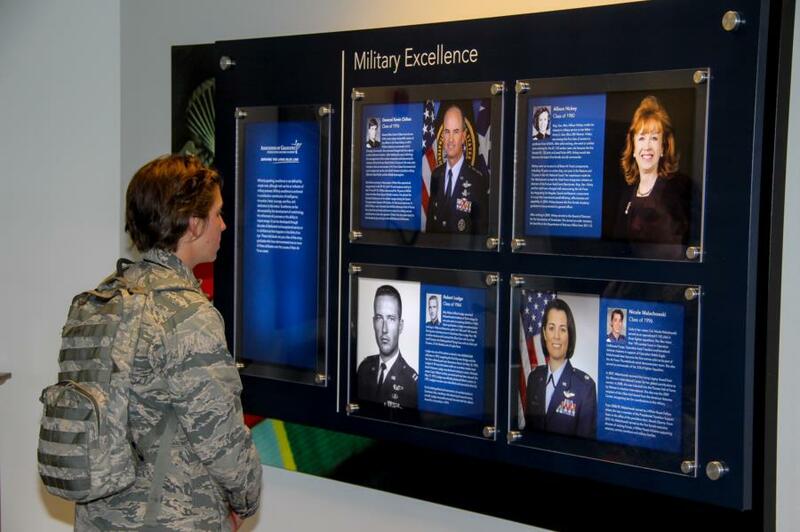 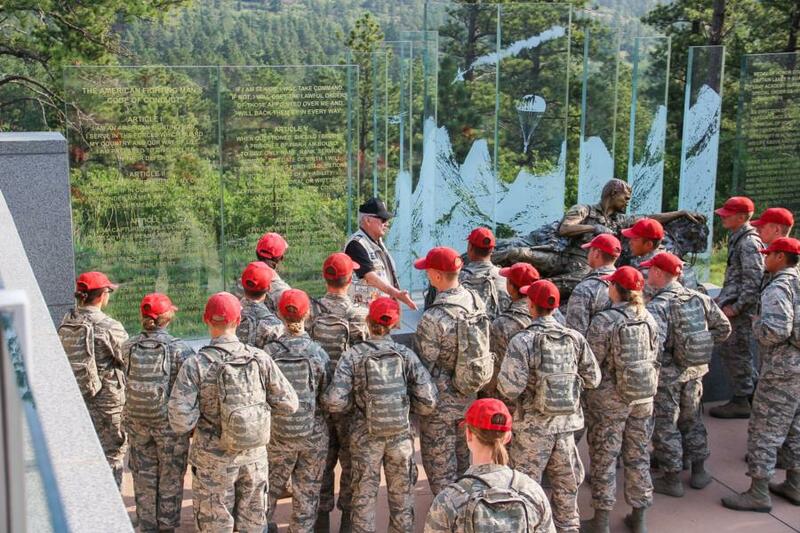 They were invited to consider how they will fit within the heritage of the USAFA whether through public or private service as many graduates have done before them. 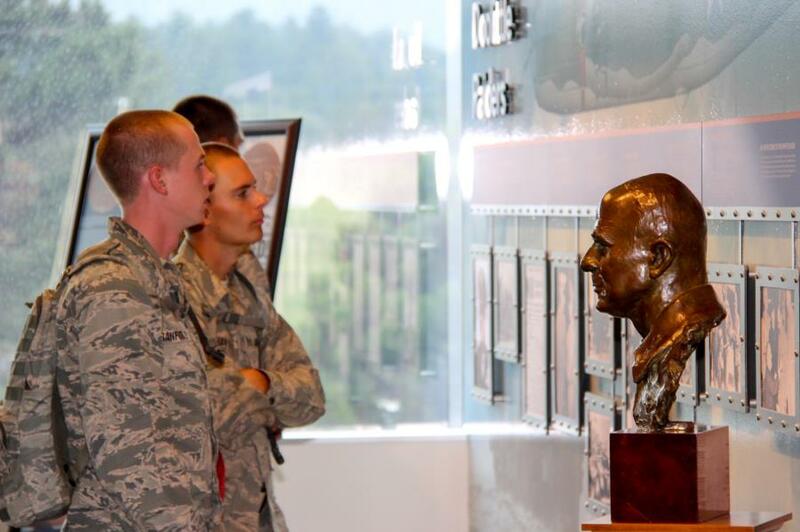 After they were invited to explore Doolittle Hall and learn more about its namesake James Doolittle. 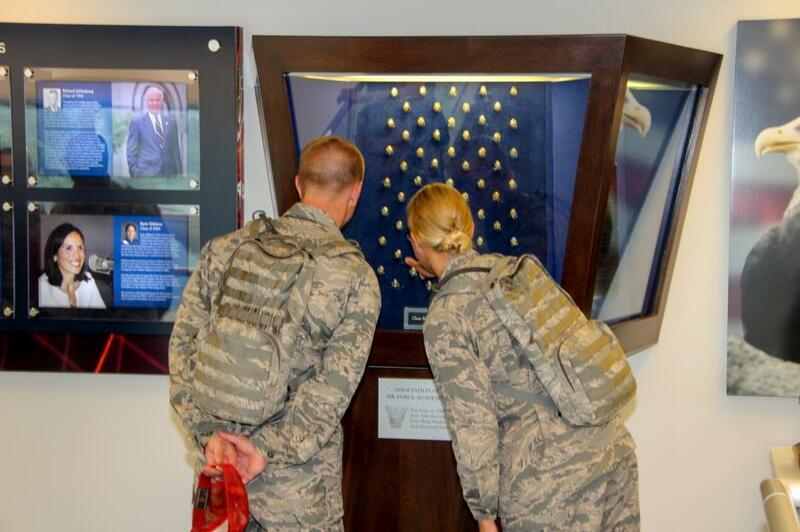 They went upstairs to learn about creating their class rings and finding out what it takes to be a Distinguished Graduate. 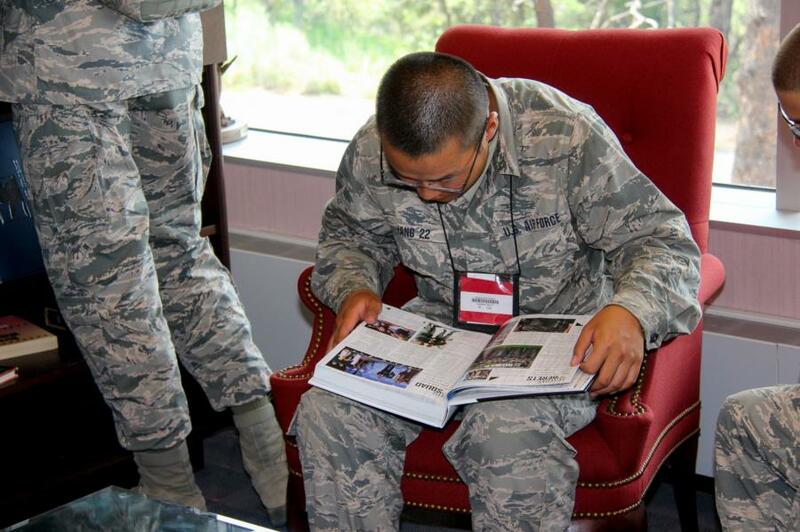 In the Library they were entertained looking at yearbooks, contrails, and reading oral histories of former POWs. 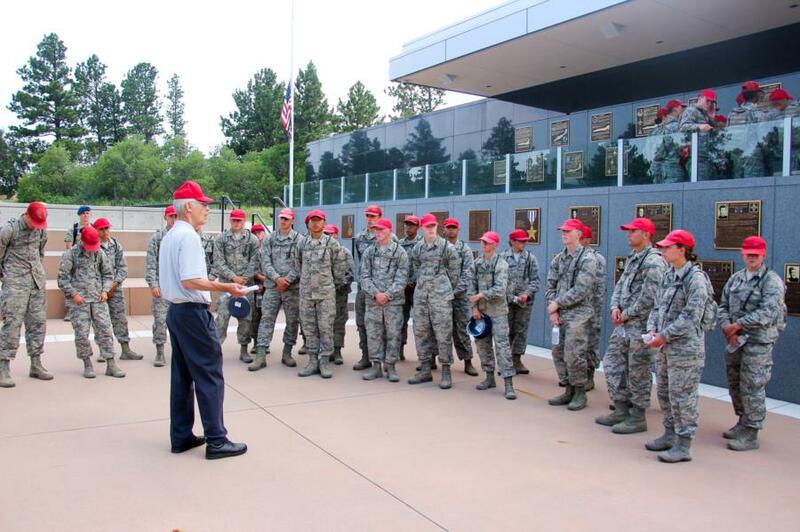 When the time inside commenced they were invited to go outside and meet with members of the Class of 1959 who issued their challenge to them and escorted them across the bridge for their first picture as being the newest class to enter the academy with members of its oldest. 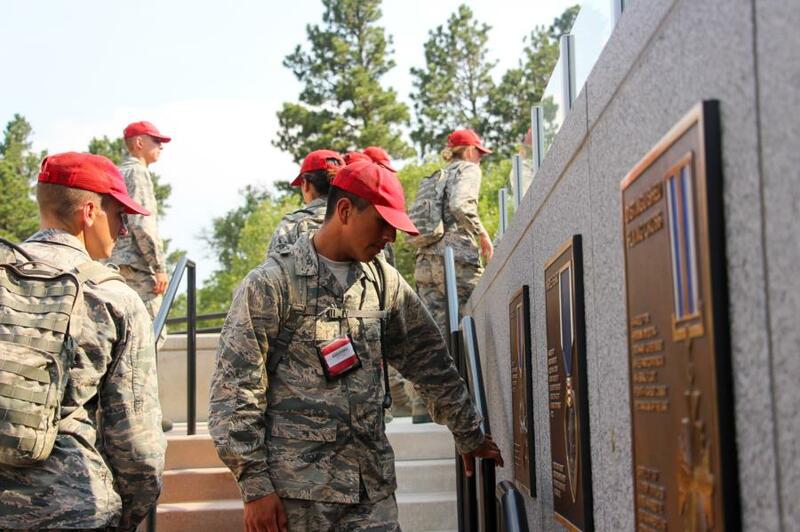 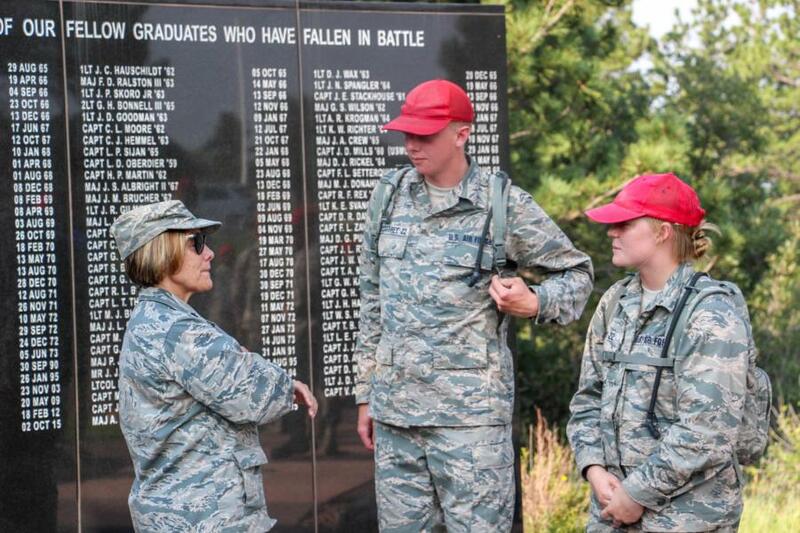 The history did not stop there, at the Class Memorial Wall replica (the actual one is inside the Cadet Area), they learned about the sacrifice of ever graduate in combat. 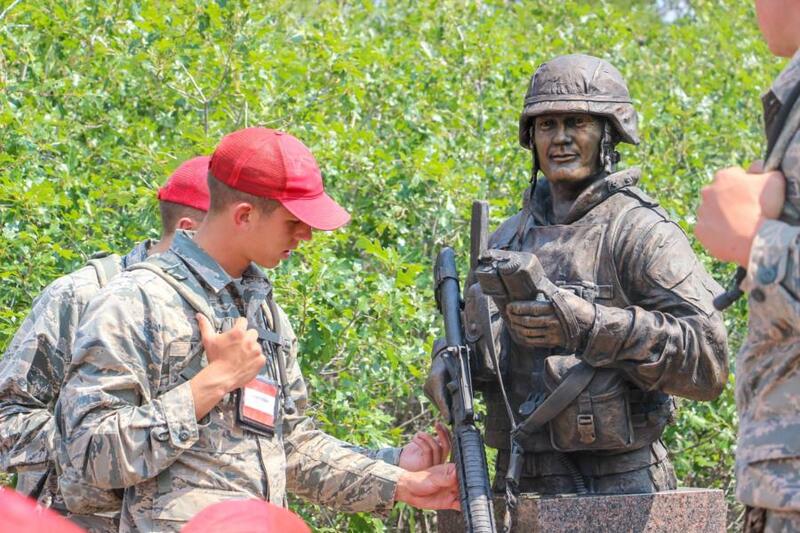 They went further down the trail to learn about Kevin Shea a 1989 graduate who cross commissioned in the Marine Corps and was killed in Iraq. 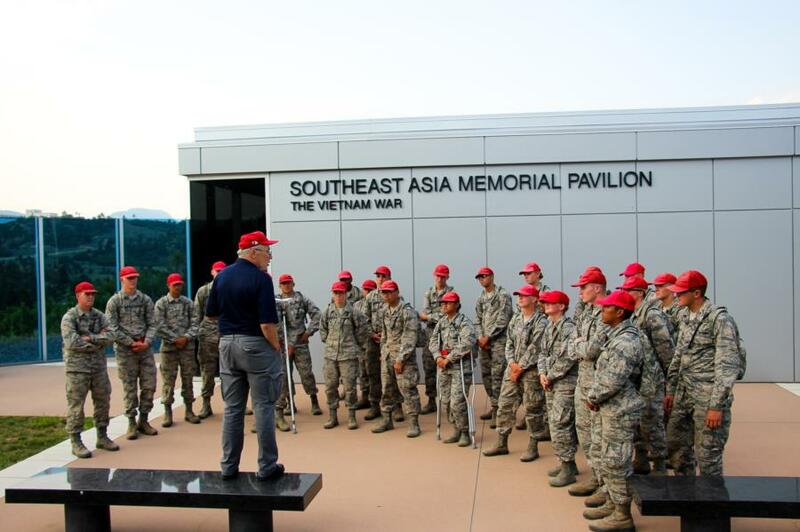 At the bottom of the trail they found members from a variety of classes from the 1960s and 1970s to learn about the Academy’s role in South East Asia. 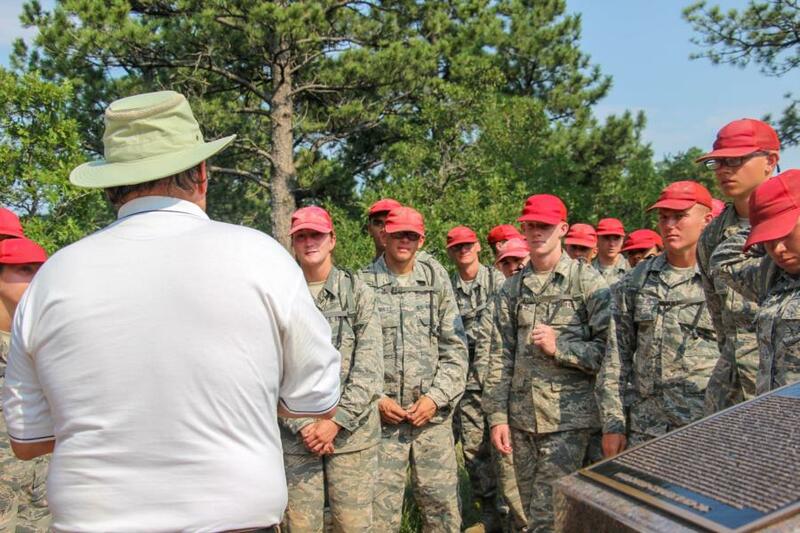 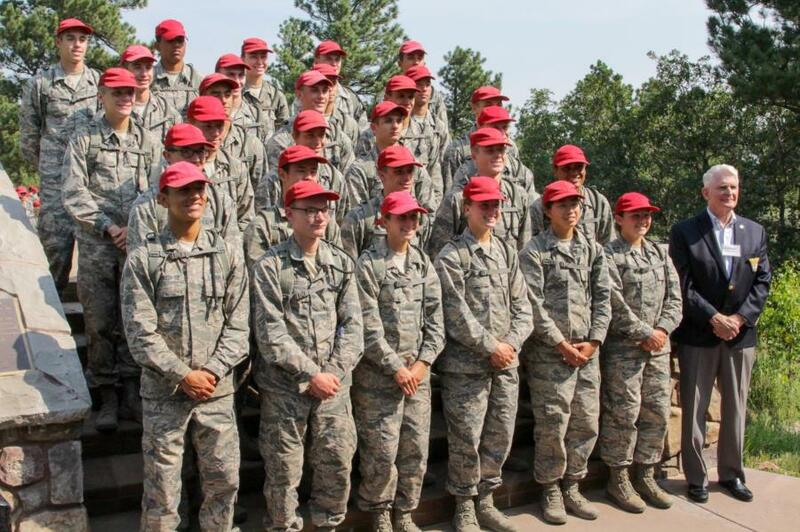 Basics left enriched with knowledge, a challenge, and the empowerment from graduates that they are welcomed in the Long Blue Line and will be supported throughout their career at USAFA.